Christina: Hey Sarah, welcome back from your vacation. Sarah: Thanks. It was great. Any changes around here? Christina: Well, they hired a new guy last week, Eric, and he's really sweet. Plus, he's kind of handsome. Sarah: Yeah, I met him earlier. Wait, you have a crush on him, don't you? Christina: What? No. He's only been here a week. Sarah: Then how do you explain the new dress? And the new hair style? And the makeup? Christina: Well, OK, maybe I have a little crush, but I think he's married. Sarah: I didn't see a ring when I shook his hand. And don't look now, but he's looking at you right now. Sarah: I think I sense the beginning of an office romance. Meaning: The expression "to have a crush on someone" means to have very strong feelings for someone. However, when "crush" is used to describe attraction, it usually implies that the attraction is one way and that it likely won't last. In the example above, Sarah thinks that Christina has a crush on their new coworker, Eric. While Christina initially denies it, she finally admits that she does have a crush, but then she explains why it is only a crush: she thinks he's married. However, Sarah says that he wasn't wearing a wedding ring, and then she notices that he is looking at Christina she suggests that Christina's crush could turn into an actual romance. Timothy: I noticed you keep staring at Melissa. Are you interested in here? Timothy: You should ask her out. Cole: No. It's just a little crush. I'll be over it soon. Timothy: Why not! If you like her, ask her out! Cole: I don't think she would ever go out with me. Plus, she's a good friend. If I asked her out, then it would be awkward when we hung out. In this case, Cole likes Melissa, but he says it's "just a little crush," meaning that he likes her, but it's not serious. He has decided not to ask her out because he doesn't want to make their friendship awkward. Note: this idiom is related to LSI's upcoming Valentine's Day party. For more information, contact the Marketing Department or ask the front desk at your school. Rachel: How was your weekend? Charlene: Fantastic! Tom took me to a really amazing restaurant, and then we went for a walk on the beach. Rachel: Aww! That sounds so sweet! Charlene: And then the best part - he finally said those three little words I've been waiting for. Rachel: Wow! So you guys are really getting serious! 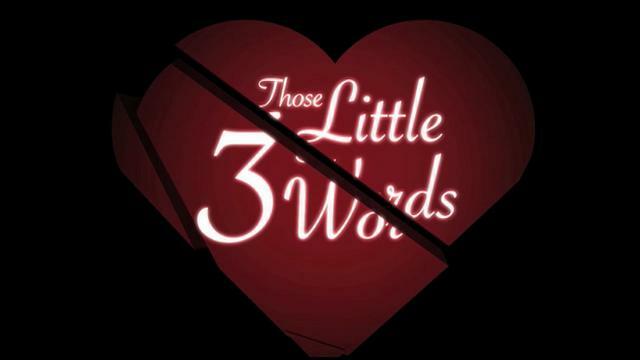 Meaning: The expression "those three little words" refers to the phrase "I love you." Since "I love you" is considered such a strong and powerful thing to say, we often use the phrase "those three little words" to refer to the phrase in conversation. Usually, this is used when at least one person in a couple hasn't said it to the other, but it can also be used for the first time one partner says "I love you" to the other, as in the above example. In this example, Charlene is excited because Tom finally told her that he loved her. Dale: How are things going in your new relationship? Colby: Pretty well. I can't believe we met online. Dale: How long have you guys been going out? Colby: A little over a month. Dale: Wow! If you don't watch out, someone's gonna slip up and say those three little words! Dale: Glad to hear it. You two seem like a really great match. In this instance, Colby says that his new relationship is going really well, and Dale jokingly warns that someone is going to slip up (which means "make a mistake") and say "I love you" to the other. This expression is often used in contexts such as this, when a relationship is getting serious but no one has said "I love you" to the other person yet.